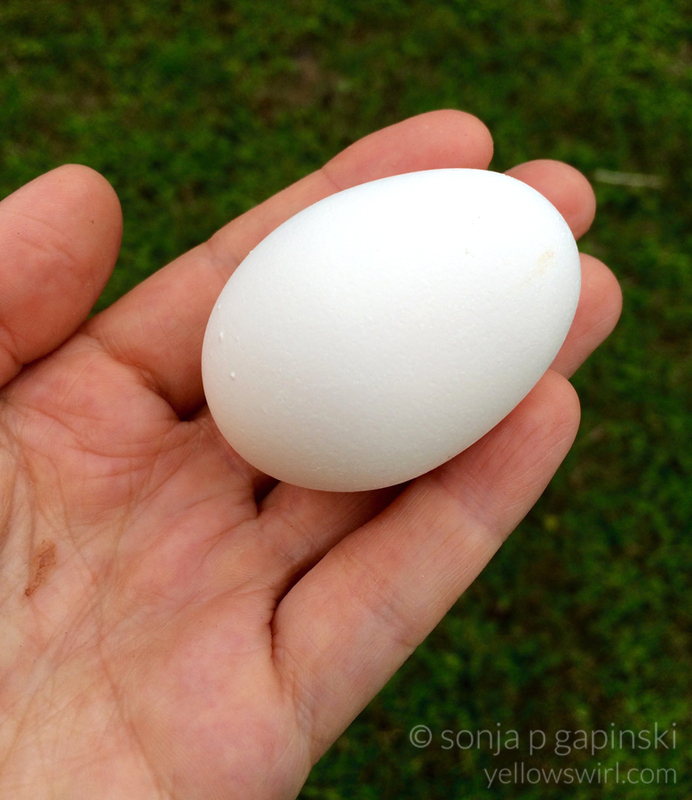 This evening I went out to the coop, opened the hatch to clean out the nest box and shrieked! There it was, in all its beautiful glory. Who knew? 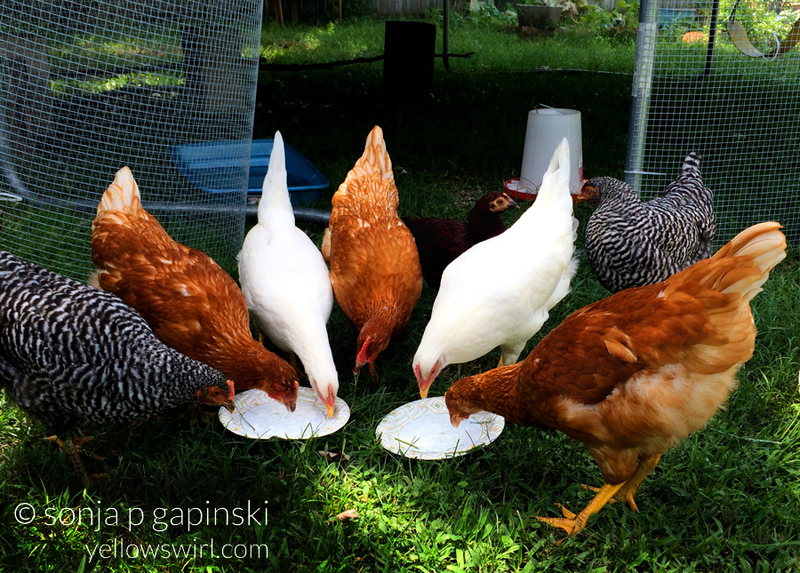 My chickens love plain Greek yogurt. FYI, you really shouldn’t give them dairy because their systems can’t process the lactose and it can possibly upset their stomachs, causing diarrhea. So if you decide to give you chickens yogurt or any other dairy product, watch them carefully. I didn’t see any ill affects from the yogurt. And they really, really loved it. Caution: Make sure you stand back when you give it to them. This stuff really flies when they eat it.